Do you focus on family law, or is it just a part of your practice? 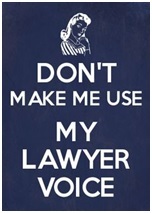 How long have you been practicing family law? How many divorce cases have you done? How long will it take to close my case? How long does it take you to return calls or emails? Can I get a hold of you if there’s an emergency? How frequently will you communicate with me about my case? Who else in your office be working on my case? How experienced are they? Do I get to meet them? Will one lawyer be assigned for the whole case? What’s your retainer? What’s your hourly rate? What are the fees and rates for your other lawyers and staff on my case? What out of office costs will be involved for private investigators, accountants, psychologists, and mediators for my case? Will you allow me to negotiate directly with the other spouse? What can I do as a client to keep my costs down? Based on what you know about my case, how does Arizona law support or weaken what my desired outcome is? What can I expect as an outcome given my facts and circumstances? Don’t ask your attorney about the total costs of the divorce. If your spouse decides they aren’t going to be reasonable about the divorce, or their attorney decides to drag things out to increase their own fees, it will drive up fees, and your attorney isn’t a psychic, unfortunately. 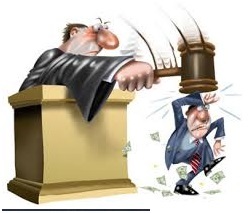 The good news is, there’s a legal mechanism in Arizona Law to deal with an opposing party that drags out a case, and a good lawyer can, and will ask the Court for attorney’s fees if your spouse or their attorney is turning this into a war of attrition. Getting attorney’s fees means that your spouse will be footing some or most of your lawyer’s fees, depending on the facts and circumstances of the delays. Make sure your attorney gives you a fee agreement before you agree to anything. And read it carefully. If you have a firm understanding of your attorney’s fees, it’ll alleviate a lot of problems later on. We keep your priorities in mind when we bring new clients on, and our main goal is to keep your divorce as painless as possible. A professional attorney will NOT drag your case out. For a professional family attorney, call Enholm Law at (602) 889-6273.